PARENT/GUARDIAN'S ARE REQUIRED TO MEET WITH A COACH DURING NORMAL GYM HOURS LISTED BELOW BEFORE CHILD WILL BE ALLOWED TO PARTICIPATE. DURING YOUR QUICK MEETING YOU WILL BE PROVIDED WITH A PARTICIPATION CODE IN ORDER TO COMPLETE ONLINE REGISTRATION. Enrollment is open year round! When your child is ready he/she may be able to compete in competitions from club to national level. PAL boxing is the first athletic programming offered through Austin PAL and is currently the only year round programming offered. 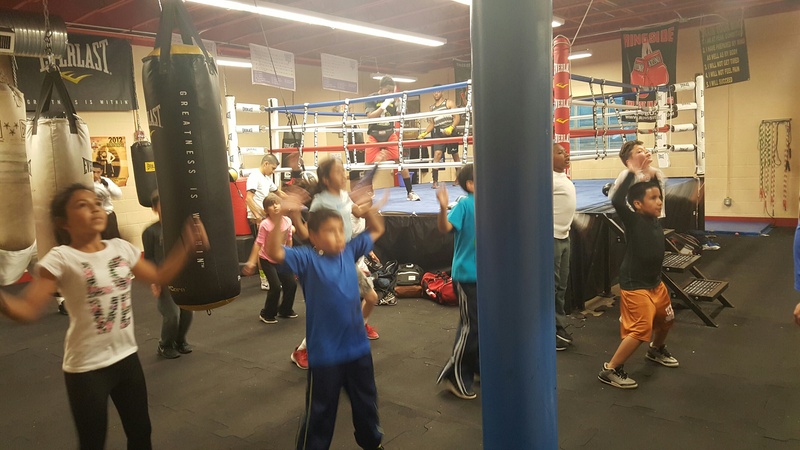 Our boxing program is located at 2100 E. 3rd street at the Pan Am recreation center. It operates Monday through Thursday evenings from 6:30pm to 8:00pm.